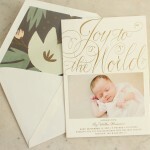 nothing says “i’ve arrived” more than a gold foil stamping birth announcement! 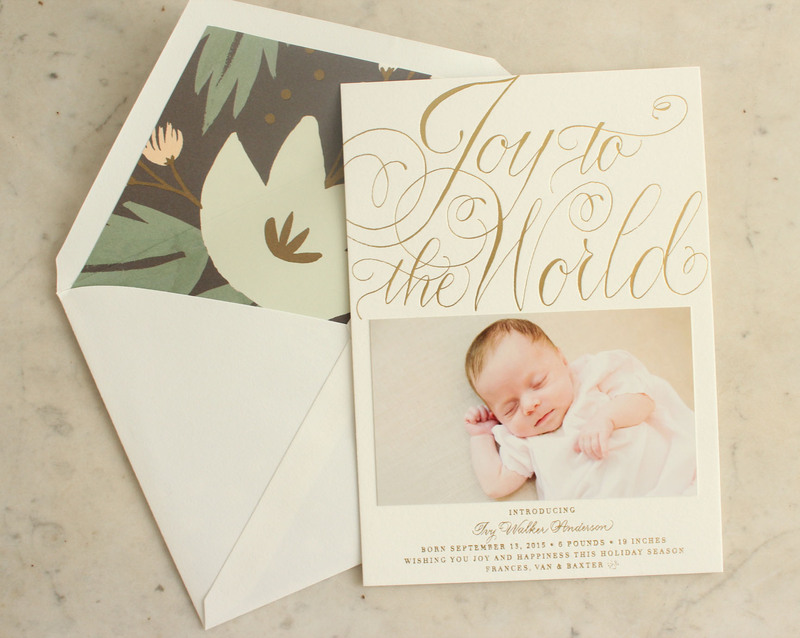 the baby’s name written in calligraphy makes it all the more special. available in flat print, letterpress or foil stamp (shown).